The photo shows my favourite Ukiyoe print. 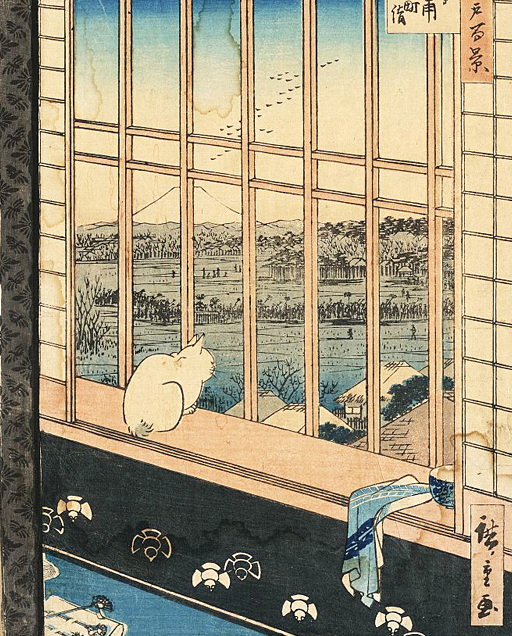 I love the sophisticated composition, a cat looking out the window at the distant view. 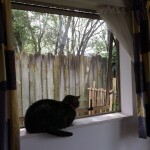 I had no interest in cats until we adopted a tabby cat from SPCA Auckland after moving to New Zealand. Now every time I see goods with cat motif I feel tempted to buy them. I have calendars and notebooks with pictures and photos of cats. I take lots of photos of our cat Tabi. Tabi means travel and white socks for kimono (she has white bits on her paws), and ‘tabitabi’ means ‘time and again’. She is very good at, well, sleeping. Everyone in New Zealand seems to love cats except for Gareth Morgan. It is estimated that 1.5 million cats are kept by half of the households in the nation of 4.5 million. 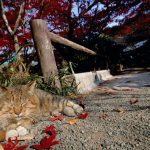 In Japan the number of cats is reaching 10 million for the human population of 127 million. The number of cat café nationwide is now over 200. The Japanese have always loved cats, not just because we needed cats to catch mice that eat our precious staple food of rice. A number of famous paintings have cats in them. 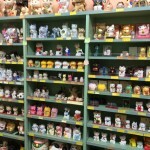 I visited a shop in Himeji, not far from the castle, specialized in cat goods. 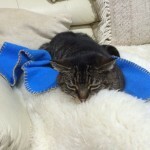 If you are a cat lover, make sure to visit one of these shops, check out books and exhibitions of ‘cat photographer’ Mitsuaki Iwago, and relax at a cat café.